With such a disappointing end to the Warrior’ record-breaking season, a little bit of good news is exactly what die hard Golden State Warriors fans need. And it doesn’t get much better than this. 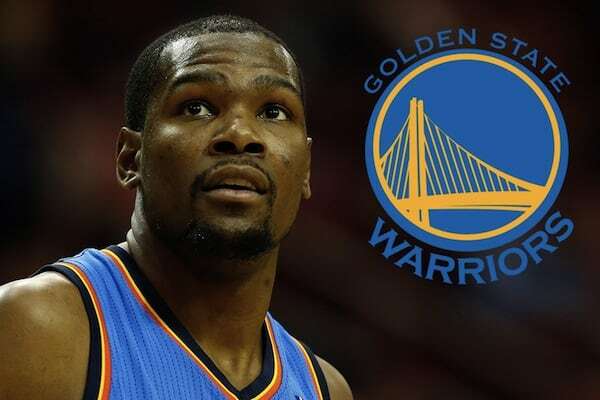 Durant made the decision public on The Players’ Tribune Monday morning. He can’t officially sign until July 7. His decision has been the most highly anticipated move of the summer. The 2014 MVP and four-time scoring champion led the Oklahoma City Thunder to the NBA Finals in 2012, and to the Western Conference finals in four of the past six years — and he’s only 27. He recovered from a broken bone in his right foot that cost him much of last season to post one of the best years of his career. The Warriors really set the bar high with their 73-9 season, but without a championship trophy last year, they have a huge goal to accomplish next season with Durant.